Been looking for conservatory cleaning services for some time and came across Lgb Vision. Phoned on the Wednesday and someone came round on the same day and gave me a competitive price. 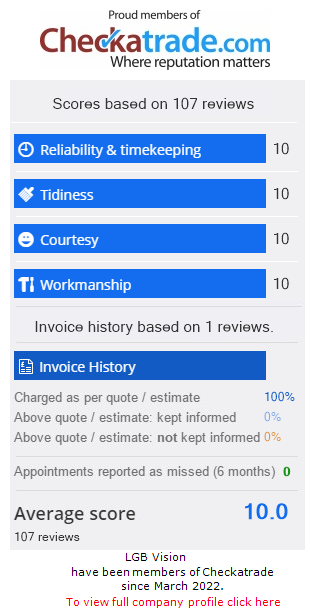 Apart from being very pleasant the person doing the job was very thorough and I have to say I was very pleased with the final result. I have no hesitation in highly recommending Lgb for your conservatory cleaning requirements.